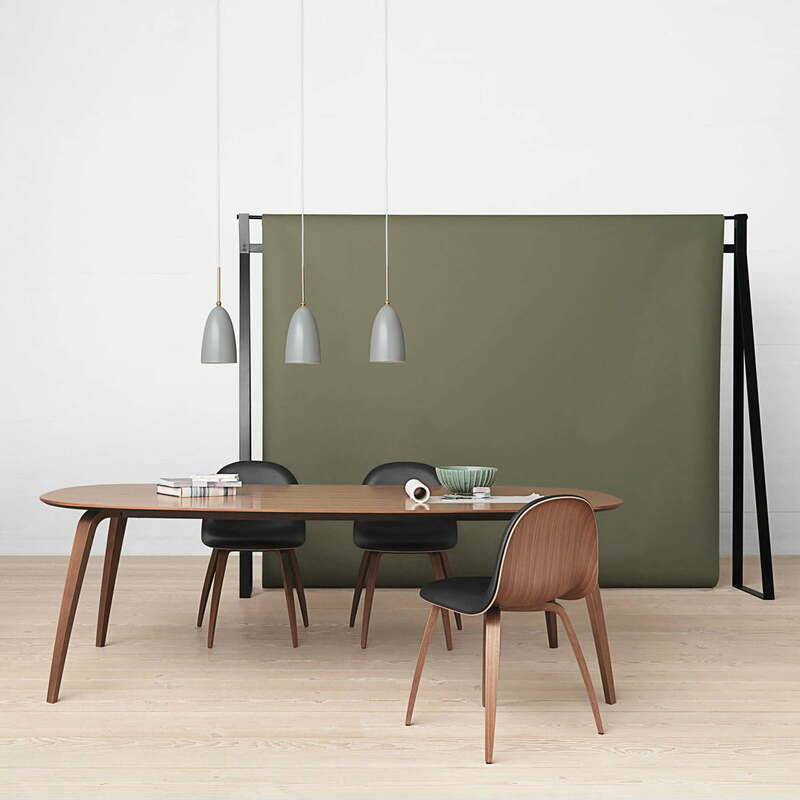 The round dining table by Komplot Design for Gubi is very versatile with its soft curved table top and slim legs. 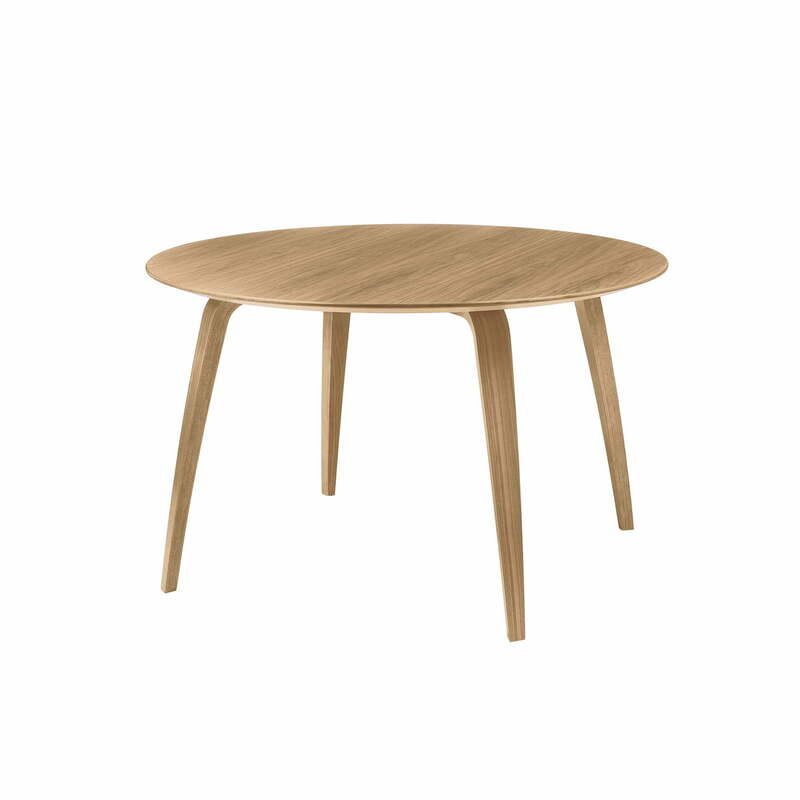 Made of wood or laminate, the table with different appearances never fails to impress. 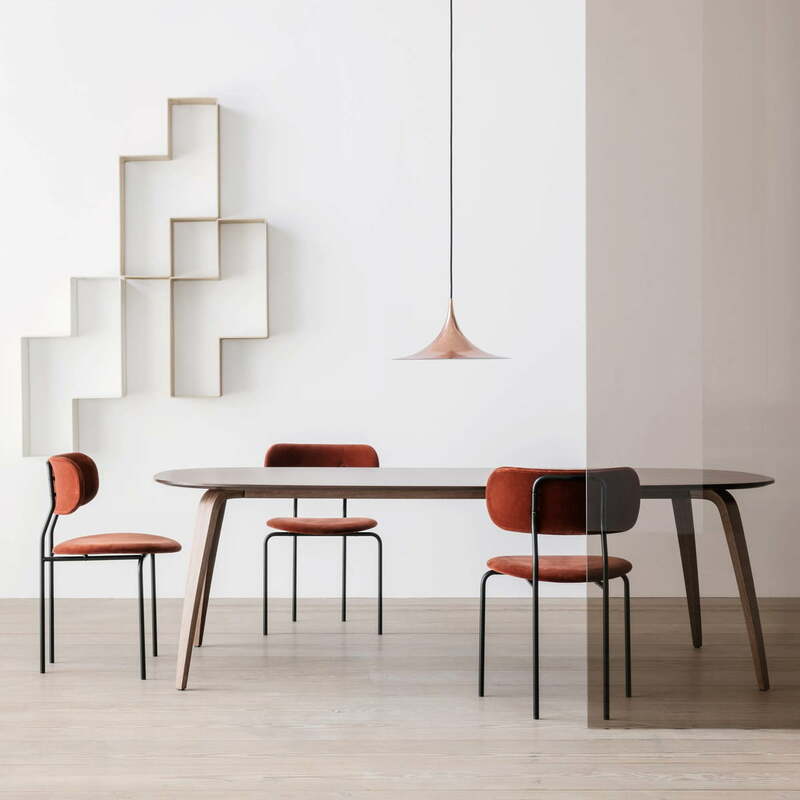 Originally designed as a counterpart to the 3D Chair, the table is easily combined with other chairs thanks to its natural and timeless look. The round dining table with a diameter of 120 cm, offers space for up to four people / chairs in the dining room or kitchen. Isolated product image of the dining table 120 x 72 cm by Gubi in oak. The designer duo Komplot designed the dining table for Gubi without any unecessary details.